ISLAMABAD: Chief Justice of Pakistan (CJP) Mian Saqib Nisar on Saturday warned the dual national civil servants to give up their second nationality in the stipulated amount of time or they will lose their jobs through legal action. 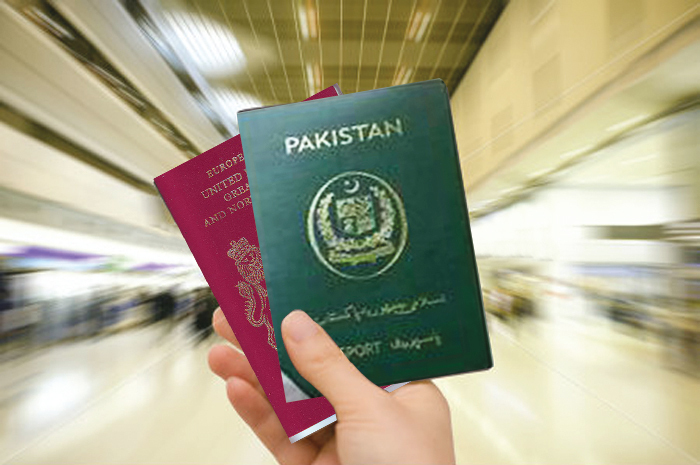 The Supreme Court (SC) had taken up a suo motu notice of bureaucrats and judges having dual nationality in January this year and summoned a report. Subsequently, the Establishment Division in March revealed that a total of 213 government officers serving in various ministries, divisions, provincial departments and autonomous bodies held dual nationality. In a 52-page verdict as the court wrapped up the case, the three members bench headed by Justice Nisar directed the government not to appoint dual nationals at top posts as “they [may] pose threat to the national interest”. It suggested formulation of relevant laws to stop dual nationals from working on top government posts. The SC asked the governments to consider formulation of negative lists of posts in government service, autonomous/semi-autonomous organisations, where citizens holding dual nationality or married to dual nationals, should not be appointed for safeguarding national interest, except for with the permission of the respective cabinets or organisations. The court further asked for placing the list of dual nationals or married to dual nationality holders and posts held by them, before the parliament, respective governments or organisations at the end of each financial year. The court held that in the majority of cases, apparently the acquisition of foreign nationalities during service by the citizens was aimed to securely dispatch “ill-gotten gains” and relocate their families or themselves during service or after retirement. “Such individuals deserved no leniency,” it added. The SC said it was intended to send a strong signal to all government officials that they must not deceive the country by breaking the trust that they have been bestowed upon by virtue of their office. The apex court also ruled that the foreign employment of former army chief General (r) Raheel Sharif shall cease with immediate effect if he is not granted an NOC [no-objection certificate] by the federal cabinet within one month. “According to the law laid down by the court, only the federal cabinet can grant permission to an ex-government servant to seek or take up employment as an officer or servant of a foreign government,” the court said in the verdict. A high profile case of a politician holding dual nationality is of Zulfi Bukhari, who was appointed as PM’s adviser despite holding a dual citizenship. The apex court had disqualified PML-N senators Haroon Akhtar and Sadia Abbasi for holding dual nationalities in Oct 2018.